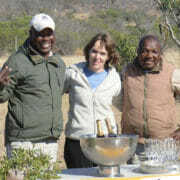 I came here for the 1st time with my husband in Feb 2010, 2nd stop on a Vic Falls-Londolozi-Cape Town trip. 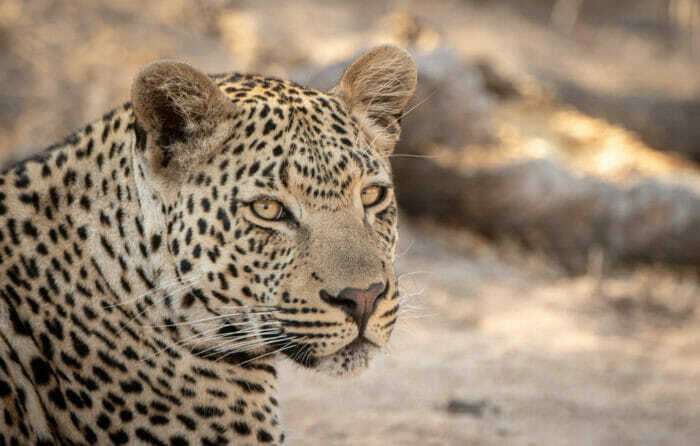 I'd wanted to come here for years, as my ambition was to see a leopard in the wild. We looked at the cost, thought "ouch!" then - well it is just a one-off! On our 1st game drive we saw Vomba, so mission achieved. Then the next morning we saw Camp Pan mating with Nottens! Within 24 hours of arriving we were completely smitten, and knew we not only had to come back, but come back the next year. So began a highly expensive addiction, and my trip 3 weeks ago was my 9th consecutive year and I celebrated my 100th game drive!